“Psst. Did you check out the latest Taylor Swift Video?” asked my colleague one fine morning. I scoffed and reacted, “I don’t listen to Pop music. I am a classic rock fan”. But that was a lie. ‘Shake it Off’ has helped me survive many a Monday mornings. It was much later that I payed any attention to the disclaimers on the main page of Chrome’s Incognito mode. The private mode did not hide my browser history from the websites I have visited, my employer/school or even my internet service provider. 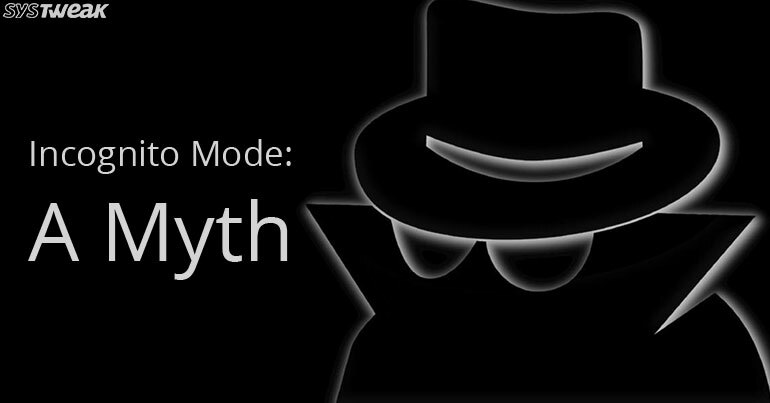 Well, if all of them can see, then why even call it the Incognito/Private mode?? We are ignorant if we assume no one knows our search preferences. Our IP addresses which can be and probably are being accessed by net providers don’t really matter in everyday life. So, anyone, be it government or hackers knowing whether I was partial to satin or silk through my browser history was a remote prospect. Such things don’t happen to common folks like us. Experts and many others would disagree with me. For them, all and every aspect of personal life needs to be kept like that. Private and Secure. The concept of a random employee in a service providers office getting a glimpse into our private self feels more on the lines of Big Brother watching. Hackers leach off our lack of cyber security and hold ransom our data with encryption. Red cams on traffic signals don’t just capture visuals of traffic violators, they even capture you and me while we enter or leave our corner Starbucks. Constant surveillance! Why? One hopes to draw a line, especially at our workplace and relies to go ‘Incognito’ instead. Different terminology is used for ‘Private Modes’ across many platforms. • Google’s Chrome has Incognito Mode. All sell us illusions of being off grid with non-judgmental eyes and freedom to surf our kinks/fetishes. But they aren’t private. Advanced Ad encryption remembers where our mouse stopped scrolling. That extra 10 seconds of looking at a purse while surfing shall arise as a cookie for almost 2 months on. Cookies are small pieces of data which is sent from a website and stored on to user’s computer through the web browser. Our mode doesn’t matter. Data transfers nevertheless. If there is no way around, then why even bother creating such modes. Why market them as a holy grail of being private? Well, it does have its uses. 1. Multiple logins- One can access multiple email accounts, social networking accounts on incognito mode without disturbing official email account. This way you are updated on the social scene along with work stuff. 2. Search engine- Search engines store your history & then predict search results. When you don’t want biased results, go incognito. 3. Secret Santa- Shopping or booking tickets as the perfect anniversary gift for your spouse can be a tricky affair. To keep it a surprise is another effort. With the Incognito mode, they will never be able to guess. 4. Visiting Taboo Sites- Some sites give out cookies. They reflect badly on us while surfing the net at work. This can be avoided with the incognito mode. Share a home PC with your kid? Incognito is the way to go. Trust us. We have time and again tried to respect another person’s privacy. It’s what civilized people do. To accidently stumble across the maze of their browser history with their weird or curious questions are sure to cloud our opinions of them. We need a hero! We need to stand up and say no. We need a failsafe, private browser where we aren’t worried of ‘Big Brother’ judging our music choices or if we download movies using torrents. (Hey Apple! You listening?) The Notebook is my favorite movie. Not Star Wars! There! I said it out loud, it’s not like Big Brother doesn’t know. Smart Contracts: Blockchain’s Secret Ace!